I've been thinking more lately about all the products we use in our home. And how we can make them more natural. 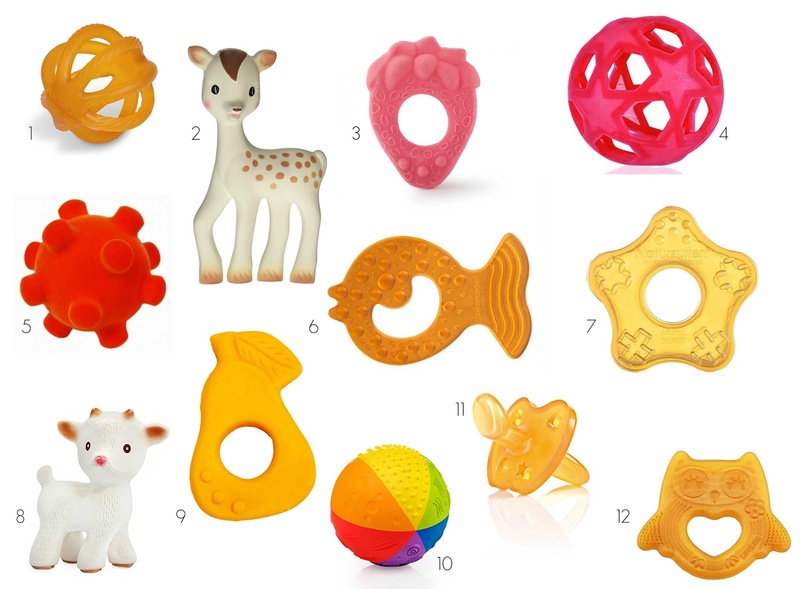 I sort of stumbled upon rubber as an option when I bought a Calmies ball when Gus was a baby. If you remember, he had some physical delays and needed easy toys to grasp. A friend suggested this ball, and Gus loved it. This led me to explore some other rubber options for him. So far, rubber has been one of his favorite materials to chew on. And, I love that! It's natural so I don't have to worry about chemicals leeching from the toys. They are also beautiful, a nice weight, easy to care for, and sturdy. Rubber has been sort of a no-brainer, that I hadn't really considered with my other children. Another reason to love rubber is that it is sustainable. The process can be made safe for the Hevea trees that it is made from. Rubber will also naturally break down over time, unlike plastics, so these baby toys won't be around for thousands of years in a landfill. 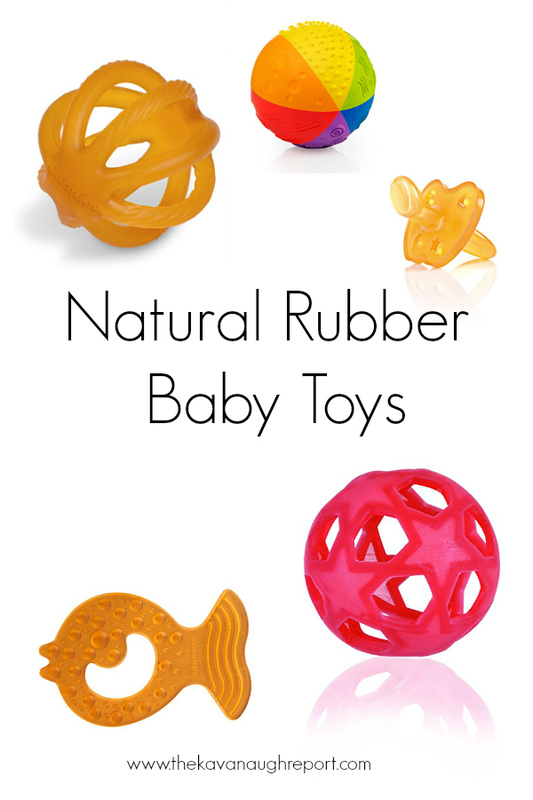 Have you used rubber baby toys? Any favorites I should add to this list? What other natural materials do you use with your baby?